Over the last two decades, the Internet has pervaded our everyday lifestyles in a way that makes the cyber world less of a luxury and more of a necessity for access to opportunity and information. With that in mind, not everyone requires the same connection speed for their Internet service, as we all tend to use it with a different purpose in mind. To make the search for the ideal Internet connection a little bit simpler, let’s look at some common Internet options and dissect which speed may best meet your own online needs. By far the most inexpensive of Internet options, dial-up – otherwise known as analog (56k) – is famous for — beyond its trademark connection sound — boasting the slowest Internet connection speed on the market. Using an ISP-provided public telephone network to connect, the quality of the access is relatively poor compared to its competitors and reaches a meager speed height of about 56 Kbps, much too slow for quality streaming or downloading. Still, dial-up is the economical option for a family living on a low budget, or for anyone who desires basic access to Web pages, but not necessarily the flashy substance of video and audio. ADSL. The ubiquitous asymmetrical digital subscriber line connection peaks at a speed of 9 Mbps when receiving data, making it faster than its SDSL counterpart in addition to being the most chosen amongst customers. If living in a metropolitan area, users may also choose the supped-up version of ADSL often referred to as ADSL +2, which involves the installation of a special filter that amplifies download speeds. SDSL. The symmetrical digital subscriber line supports speeds up to 3 Mbps, differing from ADSL significantly by having the same speeds for uploads as it does downloads. Further varying from its DSL sibling, it uses telephone lines already in existence in addition to a specific modem for the Internet type. If you desire a more consistent connection – especially if you upload files frequently – SDSL may be your best option in what is considered the xDSL family. VDSL. Very High DSL stands out from the pack as the DSL type catered toward short-distance connections, often more ideal for small businesses. Cable connections – unsurprisingly – operate using TV channels offered through your cable provider. Data is communicated through specific channels for what is considered “upstream” data, and through other channels for “downstream” data – that is, downloading versus uploading. Speeds offered by cable providers are generally faster than DSL lines, at its minimum reaching speeds of 512 Kbps, and a maximum of 20 Mbps – more than twice as fast as DSL. Cable connections are ideal for those who already have cable television, as they’re more likely to reach some form of combination deal with their cable provider, thus getting a quality Internet connection for a fairly reasonable package price. Beyond that, it also streamlines your cable and Internet services into one provider, rather than two. 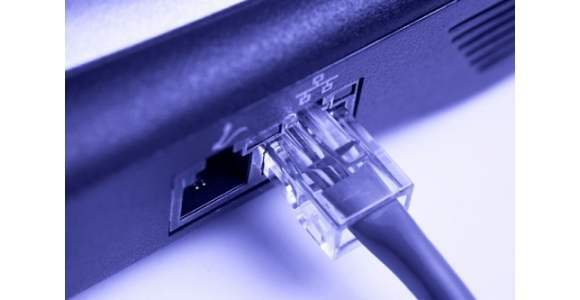 This connection type is most prevalent amongst the business world, existing as a leased line that connects at a speed of 1.544 Mbps through the use of 24 distinct 64 Kbps channels. For businesses with a bigger need, T-1 lines can be “bonded” to create higher speeds, going as far as to increase the number of channels from 24 to 672 through a “T-3” connection and improve the connection speed to an impressive 45 Mbps. With the introduction of Wi-Fi has come the real transformation of the online world, as major urban centers have begun offering free wireless Internet connections that have, more or less, made it a modern standard. Though not easy to find in less populous areas of the country, the radio frequency-based technology makes it one of the fastest connection types in existence, and the recommended Internet option for those with multimedia devices or fast-paced, online-based careers. Most ISPs have begun to offer their own wireless solutions in the last few years, making the connection type increasingly accessible. Mark works for ConnectYourHome which is a comparison shopping engine for a variety of home services including cable television, satellite TV, Dish Network Packages, and much more!